These Lewis fiberglass reinforced totes and containers feature Stack and Nest design, consistent tare weight, smooth outside surface and radius angles for easy and safe handling. 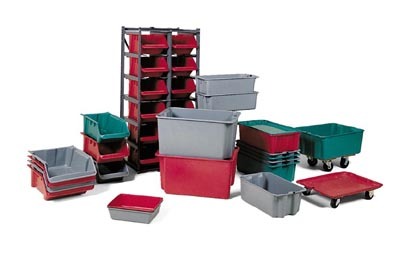 Tough, durable containers for manufacturing systems makes storage easy in an Industrial Environment. 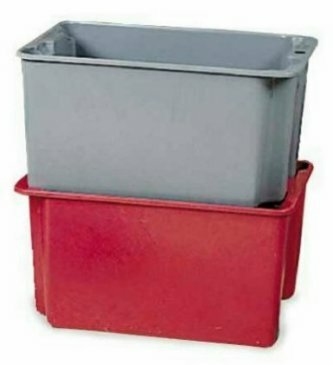 Made from fiberglass-reinforced polyester, Plexton containers are ideal for storing, moving and shipping small parts, as well as for autoclaves, healthcare and x-ray/security applications. 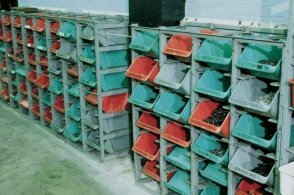 Hopper-front containers give you all of the strength and tough characteristics of our Plexton Stack-N-Nest containers with the ability to pick and visually inspect the contents. 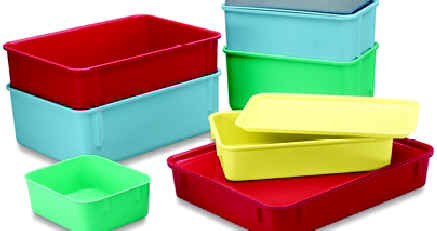 Plexton containers are available with or without a wire-reinforced rim. All plexton containers, hoppers and trays can be manufactured in materials for flame retardance, food grade, or ESD protection. Plexton containers are your ideal solution for heavy-duty storage, work-in-progress and distribution applications. 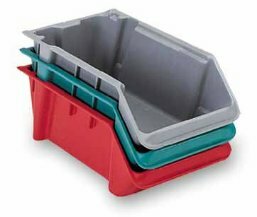 These hopper-front containers give you all of the strength and tough characteristics of our Plexton Stack-N-Nest containers with the ability to pick and visually inspect the contents. Maximize space utilization and provide easy access to containers and parts with these heavy-duty racks. Ideal in storage and assembly applications. 75 lb. capacity per opening.